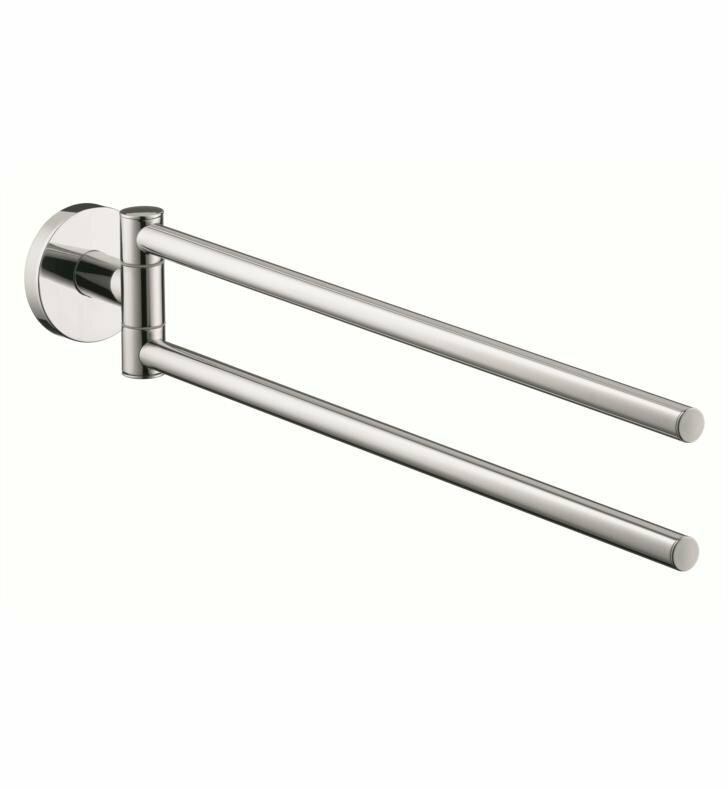 The Dual Towel Bar from Hansgrohe is a unique and practical accessory for your bathroom. With independently swiveling arms it allows for the convenience of multiple configurations. Finished in either Chrome or Brushed Nickel it makes a refined addition to any home. 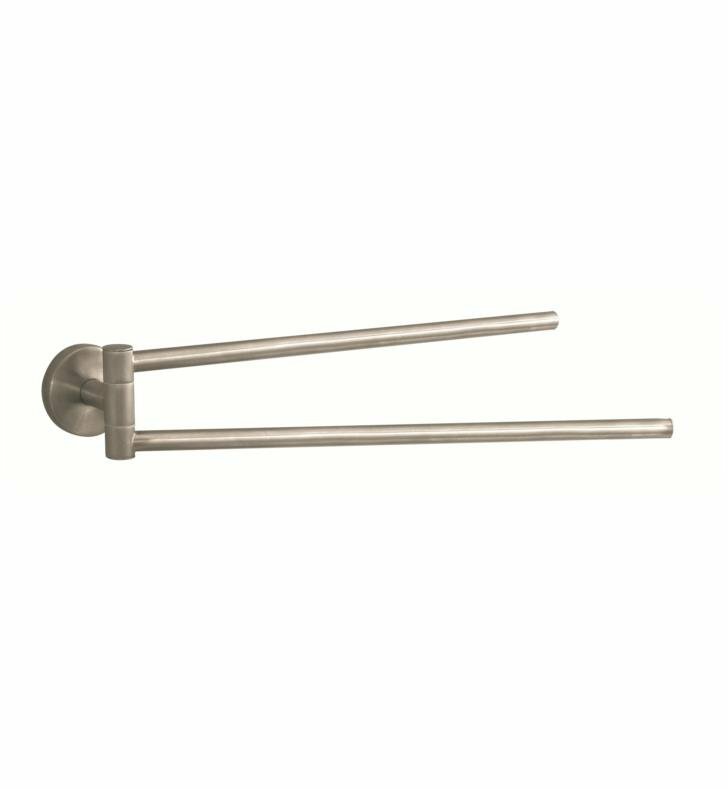 W 17 1/2" x H 2 5/8" x D 1/2"
It is very helpful to hang 2 things at once. Works well after my contractor was able to install.